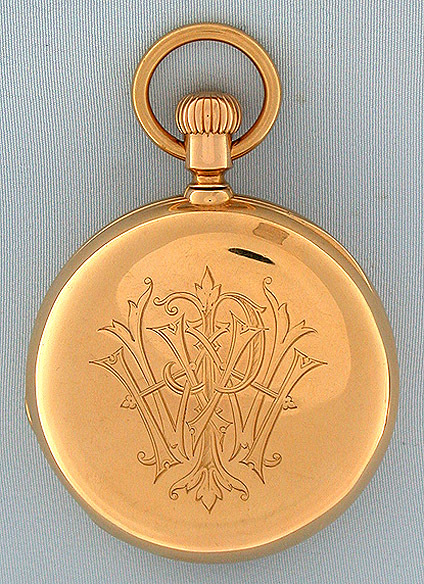 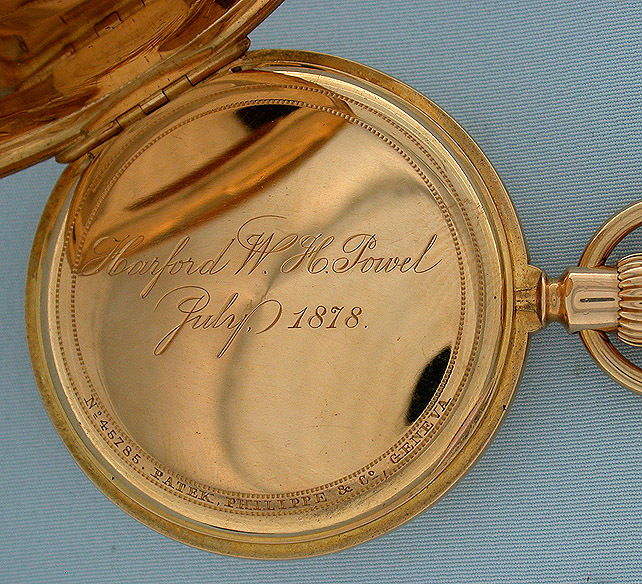 Fine Patek Philippe 18K gold antique pocket watch circa 1878. 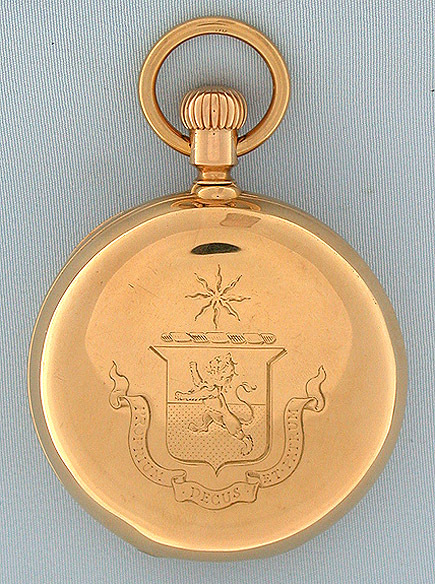 Plain polish case with light pocket wear and engraved monogram and coat of arms. 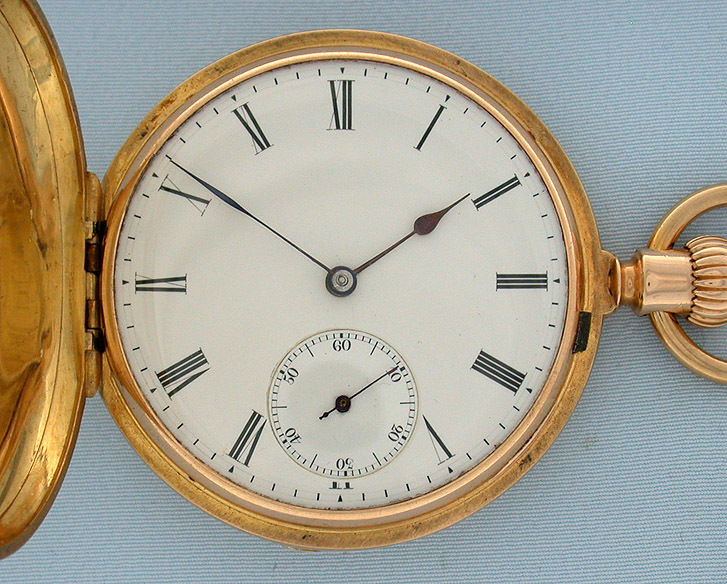 White enamel dial (slight seconds bit overglaze scratch) with blued steel hands. 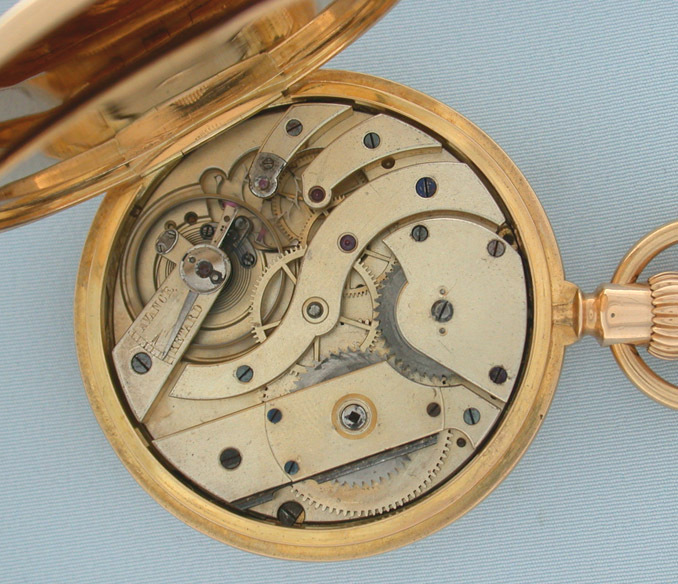 Faded gilt 19 jewel movement with wolf's tooth winding. 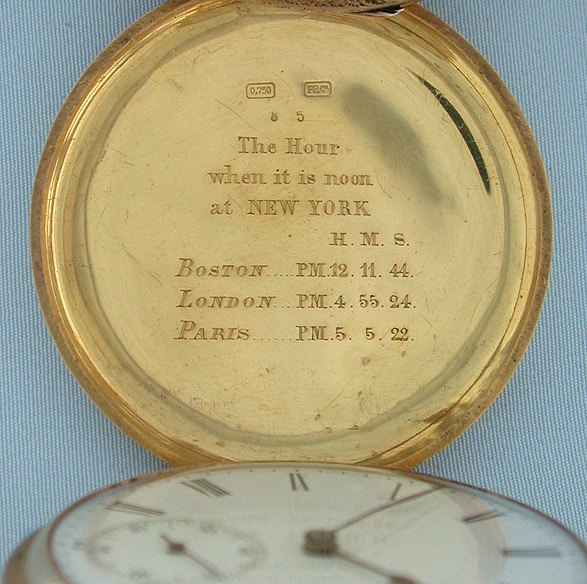 Number under the dial matches number on the case.